Battling breast cancer ― and struggling financially? Get Disability for Breast Cancer. Each year, more than 231,000 cases of breast cancer are diagnosed in women. 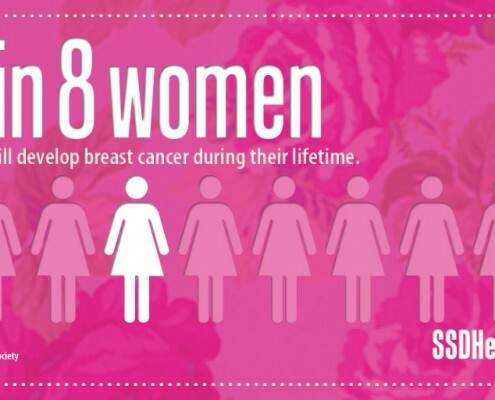 About one in eight women will develop invasive breast cancer during their lifetime. If you are among the thousands of women who have been diagnosed with this disease, you know the physical, emotional and financial toll that comes with it. Many women undergoing treatment for breast cancer are forced to stop working, impacting their ability to support themselves and their families. Mounting medical bills add to their frustration and worry. Fortunately, there is hope. If you have been diagnosed with breast cancer and are expected to be out of work for at least a year, there’s a strong chance you could qualify for Social Security Disability for Breast Cancer. Obtaining benefits, however, is not easy ― especially for someone coping with a life-threatening illness. The process can be tedious, complicated and stressful. It’s best to seek professional legal help. Our team is made up of attorneys, case managers and intake specialists, all of whom work tirelessly to help people like you obtain a monthly Disability check, medical coverage, and accrued back pay. We will handle the Disability process for you, including filling out forms, gathering medical information and presenting a solid, persuasive claim on your behalf. If for some reason your claim is denied, we will appeal your case and, if necessary, represent you at a hearing before an Administrative Law Judge. We do all the work so you can work on getting better. In some cases, Disability for Breast Cancer can be fast-tracked. Because there is a backlog of cases, it can take months to get approved for Social Security Disability benefits. The Social Security Administration (SSA) recognizes that gravely ill individuals cannot afford to wait that long. 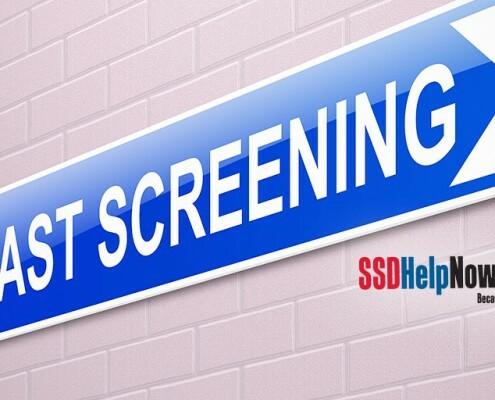 In 2008, the SSA established a “Compassionate Allowances” program and identified certain types of debilitating diseases that should automatically be approved for Disability benefits. Advanced stages of breast cancer fall into this category. If you are suffering from breast cancer that is inoperable, unresectable (unable to be removed with surgery) or has distant metastases, your disease is considered a “Compassionate Allowances Condition” and you should obtain benefits rather quickly. Even if it appears that you may qualify for benefits by meeting the above criteria, it’s best to have an experienced Disability team manage your case. If you make a mistake on the forms or don’t provide enough information, your claim could be denied. The Disability team at McDonald Law Firm will thoroughly and accurately prepare your Disability claim and work to get you benefits as quickly as possible. Don’t meet the criteria for Disability for Breast Cancer? Don’t worry. Don’t worry if you don’t think you can meet the above criteria. If you can show that your condition or your treatment prohibit you from working any job, you could still qualify for Disability for breast cancer. Proving you are unable to work any job can be technical and complicated. The Disability team at McDonald Law Firm know what kind of evidence the Social Security Administration is looking for and how to meet their requirements. Denied Disability for Breast Cancer? Don’t give up. Nobody wants to receive a rejection letter in the mail, but you are not alone. The truth is that most people are denied Disability during the initial application stage. The next step is to appeal your denied Disability claim and, if you haven’t done so already, hire an experience Disability attorney. The Disability team at McDonald Law Firm routinely convince the government to reverse an unfavorable decision and award our clients the benefits they have earned. Don’t delay, though. You only have 60 days to appeal from the time you receive your denial letter. Whether you need to apply or appeal, we can help. Call 877-568-8413. We don’t collect unless you collect. One of the main reasons people don’t hire a Disability attorney is because they don’t think they can afford one. They are surprised to learn that hiring us doesn’t cost anything upfront. We work on a contingency fee basis, which means we don’t collect unless we win your case. Even then, our fees are capped by the federal government and taken directly out of a portion of the backpay award. If we aren’t successful, you don’t owe us a penny.